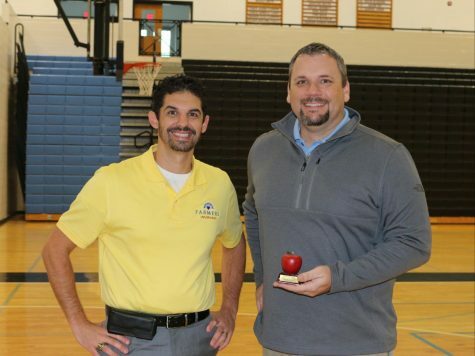 Psychology teacher Sean Hickey has been chosen as this month’s Golden Apple winner sponsored by Farmers Insurance. 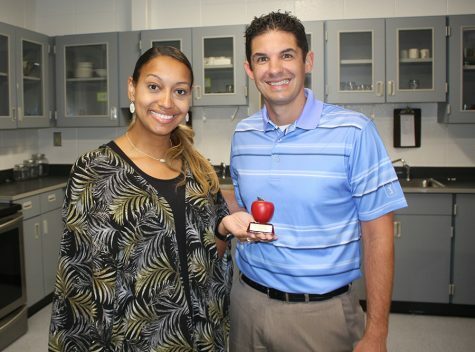 Hickey has been teaching at Starr’s Mill for the last 14 years. “I believe that psychology can be applied to anyone and anything. In terms of human experience, it is one of the most relevant and import social sciences that exists,” Hickey said. 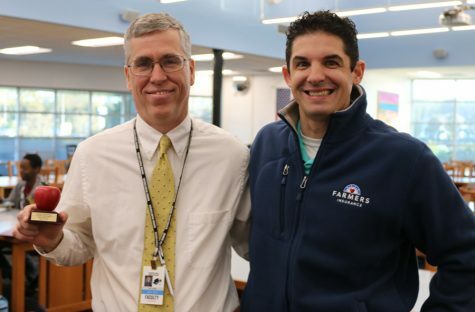 Hickey cares about and inspires his students. His style of teaching is interactive and he tries his best to make his lessons enjoyable. 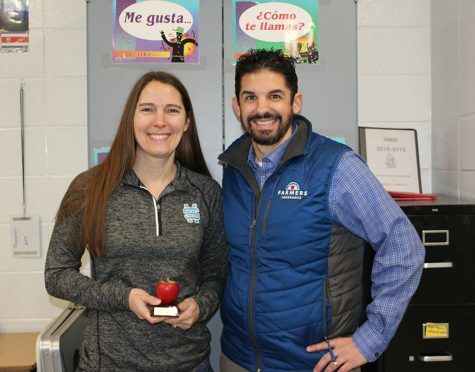 November’s winner Shayne Thompson awarded Hickey the Golden Apple. Thompson was able to notice his supportive personality and see that he deserved this award. Hickey lives by the motto of being “prosocial,” which is often seen is his actions. These characteristics are what stood out to Thompson. 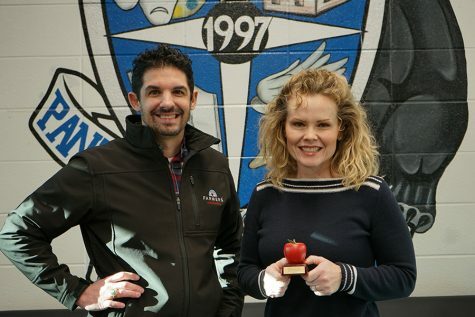 Tim Monihan and Farmers Insurance award the Golden Apple winner with $100 to spend on classroom supplies. 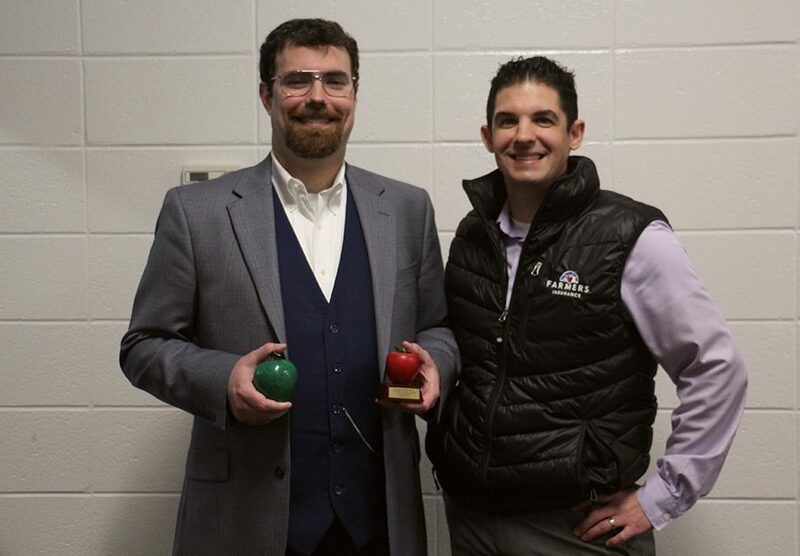 Hickey plans on buying model brains to place around the room to help engage students more in their studies and give them a visual of what they are learning.